Lotus Bay Yoga is pleased to offer parents a pregnancy yoga class at Driftwood Living in Little Bay. A collaboration with registered yoga teacher and midwife Veronica Hegedush, yoga teacher & LBY founder Amy Weidlich along with yoga teacher Monika Mamrot, the practice is a beautiful combination of connecting with baby in the belly along with a gentle exploration of just what your body can do. Lotus Bay Yoga is delighted to convene a yoga practice lead by Veronica Hegedus and accompanied by Amy Weidlich and Monika Mamrot. All having attained their original yoga teacher training with Dr Jeff Miller, yin with Melanie McLaughlin, the team has also trained further in prenatal with Katie Manitsas and were guided through their own pregnancy experiences with Nadine Richardson. Together Veronica, Amy and Monika bring their training and birth experiences to their shared philosophy, guiding the creation of Lotus Bay Yoga’s pre natal classes. At Lotus Bay Yoga, Veronica, Monika and Amy collaborate on their shared approach which is designed to empower mothers to consider what their body truly needs during their pregnancy yoga experiences and beyond into their whole pregnancy experience. Our team really believe a yoga practice is a wonderful way for women to build their confidence as they prepare for the changes ahead. It’s also a time to connect with other families also on their journey, as new parents begin to make connections and expand their community. Veronica is a gentle and insightful midwife and yoga teacher who is passionate about helping couples prepare for their newborns. Veronica is leading the Lotus Bay Yoga's pre natal yoga practice. Veronica is the mother of two grown up children and worked at the Royal Hospital for Women as a midwife for the past 27 years. Veronica completed her yoga teacher training with Dr Jeff Miller at Botannix Yoga and her pre and post natal teacher training with Kylie Hennessy. 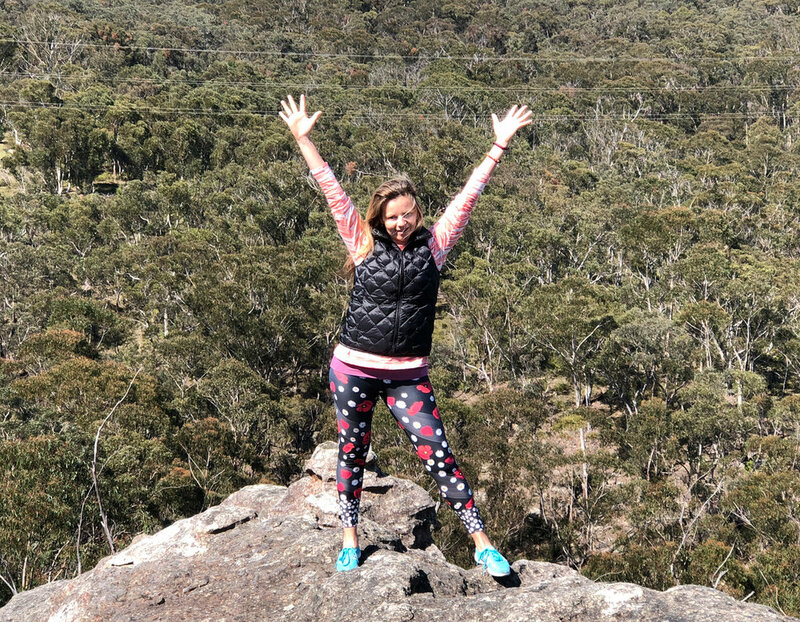 Additionally she has run a post natal clinic at a Bondi Pharmacy for over 10 years and is excited to bring her significant experience of birthing to her yoga teaching credentials. Along with teaching pre natal yoga on Monday evenings with Lotus Bay Yoga, she also teaches one off courses for couples approaching the birthing time, in Randwick. Monika first experienced pre-natal yoga when she, accidentally, found herself in Nadine Richardson’s class at Dharma Shala in Bondi. A few months later her and husband Dan found out they were expecting and together attended Nadine’s SheBirths Weekend Birth Course. This greatly influenced her view of pregnancy, birth and ultimately parenting “Following the course and the pre-natal classes I felt incredibly empowered, able, supported and connected”. I know we both did. Shortly after this Monika felt drawn to share yoga with other mummas and embarked on her yoga teacher training with Dr Jeff Miller at Botannix. Monika strongly believes that a pre-natal yoga practice offers many little gifts, some not immediately obvious. A mama-to-be can feel cared for and nurtured, a little more empowered, physically stronger or more connected to her baby, herself and the community of women around her. Women who often become friends and offer one another a great deal of comfort and support throughout this amazing journey into parenthood. Monika is really looking forward to holding the space for all of these unexpected gifts in the pre natal yoga practice we share. Amy is a soulful yoga teacher who loves to share yoga from the heart. Every day she feels honoured to witness the journey and adventures of her students on and off the yoga mat. A couple of years later, Amy's own journey as a mother inspired her interest in community building around pre and post natal times. Amy and her husband Oliver went on the IVF journey when they were lucky enough to have their son Max, who is now a sparky four year old. Their path of assisted reproduction gives Amy an insight into this experience. She practiced yoga with SheBirths during her own pregnancy and thoughtfully created pre natal considerations during her mentorship training as a yoga teacher at Botannix with Dr Jeff Miller. Amy has also completed a Pre Natal Pilates teacher training with Balance Moves (Renee Scott) in 2018 and Deborah Thomas APAM Physiotherapist (Women's Health). From the vital support of her original mothers group in Bondi, Amy discovered how important those friendships were from that special newborn time, right through to today. A couple of years later, when she moved to Little Bay, Amy was delighted to connect with local friends and from there created the Little Bay Mummas and Pappas group on Facebook and in community. What started with 5 friends in the park, unexpectedly became a group of over 400 parents which Amy continues to administrate with a team of volunteer Mummas who are also passionate about community connection. Well before embarking on her journey as a yoga teacher, Amy began to facilitate regular meet ups for parents of newborns in Little Bay on Tuesday mornings as an initiative of Little Bay Mummas, as her little way of sending out gratitude for all the friendship and support she had experienced, by paying it forward from the heart, enabling others to make similar lasting friendships. Now, each year Amy with Little Bay Mummas, continues to convene informal mothers group meet ups for families with similar aged children. "Lotus Bay Yoga's pre natal yoga offering is based on friendship. Collaborating with both Veronica and Monika's diverse and extensive experience in this area of practice is truly a joy." Before commencing an exercise program we recommend checking with your doctor, GP, OBG or midwife for their advice. If you have any questions or wish to chat about your pre natal yoga practice, please call Amy Weidlich on 0425332490. We look forward to welcoming you into our yoga class at this special time in your life's journey. Sign up with your email address to receive news and updates about pregnancy and parenting workshops presented by Lotus Bay Yoga. Thank you! We look forward to keeping you posted with pregnancy and parenting workshops as well as pre natal yoga news from Lotus Bay Yoga.